It’s the extra cheese on the pizza and sprinkles on the ice cream that tempt a user more than the actual goodies. These add-ons make the whole package worth it. So when you are looking for renting a private office or desk space won’t it be nice to get something more than just some desks and chairs. Amenities and perks that can make the space more budget friendly. Of course it will benice, the point is to find that nice. Then all you have to do is rent yourself a private or desk space at bridge works. Bridge works is located near long beach and provides wonderful private offices and desk space to rent. Their private offices are maintained to a good standard and desk spaces are provided with cubicles that you can lock while leaving and have total privacy while working. But that’s not it they provide many more amenities like welcoming lounges that are accessible to everyone and on site conference rooms that you can book anytime you want. The whole package is what makes the space more desirable. Here are some of the amenities you get when you rent space at bridge works. Visit https://bridgeworkslongbeach.com/ for more know how. Conference rooms: They have 9 conference rooms to accommodate all the meetings you have planned. Once you rent the space you can reserve any of these conferences in real- time or just through a mobile app. These conference rooms are equipped with the latest technology, projectors and apple TV to help with your presentations. Media rooms: The media room has a capacity of 45 members and is suitable to conduct seminars or training classes for large groups. It is well equipped to make all presentations. Cafe: They give you accessibility to a lively and welcoming cafe where you can relax and meet new people while enjoying your coffee. The professional buzz and new ideas that are constantly swapping in this area will be motivating. Flexibility: It doesn’t matter how long you need the place and exactly how many hours you are planning to spend there. They have different membership plans that can suit you. When you want conduct trail run you can take a day or week pass where you have access to the whole place so that you get an idea of the working environment. And then they are Basic co-working membership plans, unlimited co-working membership plans that include free conference room hours. Free WiFi: There is no need for you to apply for any broadband connections or worry about poor WiFi signal. We all know we literally can’t work without internet these days so they provide unlimited free internet to you 24×7 without any additional charges. Utilities: When you usually rent a office space you are burden with extra costs of taxes, electricity bills and water bills that you have sort out over and above the rent you pay but when you rent at bridge works the price you pay is inclusive, so that you have no energy bills in your mail. Parking space: we are not just talking about a designated parking space for your car of course that is big perk on its own right but if you are going environment friendly and riding a bike to reach the office then they provide bike stands and if you add fun to the equation and come skating to work they provide space to store your skate boards as well. Others: We have already talked about projectors and apple TV’s in conference rooms and media rooms to help your presentations. 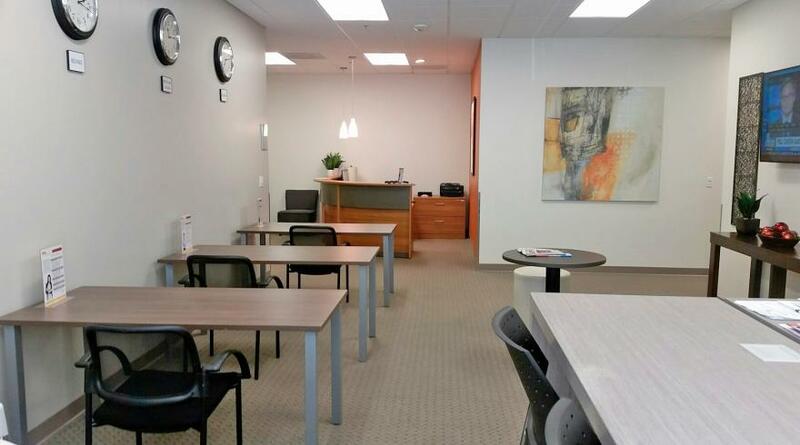 https://bridgeworkslongbeach.com/ also provide printers and private phone booths to make working there more easy. Mail: It always good to have a virtual address for your business that you can print as an address on your business cards. When you rent at bridge works it becomes your virtual address. They receive mail and you can collect it to suit your schedule.